We just sent out all Backerkit surveys for Paradox and Dale is waiting for your reply! Update: 89 % replied to our Backerkit surveys! We hope you can answer as soon as possible so we can prepare the fulfillment of the rewards. 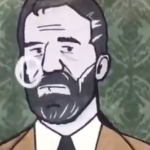 If you didn’t receive a survey, let us know now: info@rustylake.com. If you have any other question let us know as well, thanks all! When can the Chinese App Store download?! Can I get in too?? I didn´t get the mail. I´m a real fan! Did you guys pledged for the kickstarter? I want a survey !!! Did not get a survey. Please send me one. Can I have the survey as well?